I was asked about my thin rings I wore in the previous post, so decided to post them. Got mine at the Flea Market, but here are some of my favorites I found online. 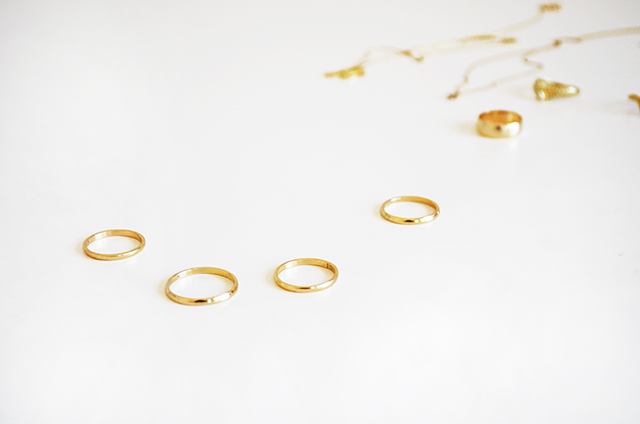 Sterling silver & brass midi rings. set of 4, Cooper, brass, metal. set of 3 (on sale), Gold chain ring I really love the delicate gold rings I wear almost everyday! i boughtsimilar ring yesterday ! love it!